When you use your credit cards through PayPal, they work just the same, but you don't have to enter your information every time. Just link the credit card to your account and keep earning those points. All you need to know is your email and password so you can forget all your credit card numbers and secret codes. 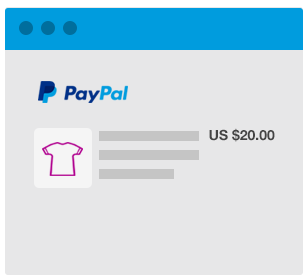 When you pay with PayPal, you don’t expose your financial information to sellers. All you need to pay is your login and password–your sensitive information is never shared with sellers. PayPal is a digital wallet that follows you wherever you go. There are millions of places you can use PayPal worldwide. In addition to online stores, there are many charities that use PayPal to raise money. Find a list of charities you can donate to here. 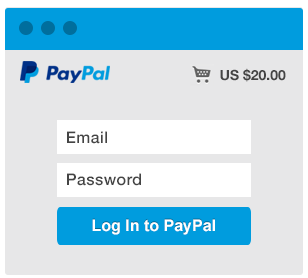 Additionally, you can send funds internationally to anyone almost anywhere in the world with PayPal. All you need is their email address. Sending payments abroad has never been easier. 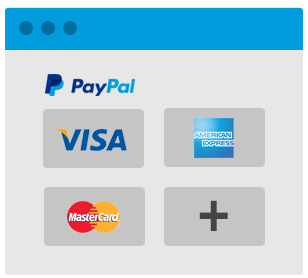 If you link a rewards credit card to your PayPal digital wallet, you can continue to collect your points with every purchase. Yes, you can fund your PayPal account by transferring funds from your bank checking or RUT account. Find our more information on how to link your bank account.